Rinse and quarter the potatoes. In a large pot, bring salted water to a boil. Add the potatoes and cook for about 15 minutes over medium- high heat, or until thoroughly cooked and soft. Drain. In a large, heavy skillet set over medium heat, add the chunks of butter. Once it melts and begins to bubble, stir in the scallions and cook for a couple of minutes until they soften. Add the chopped chipotle chile and combine well. Add the cooked potatoes along with the milk. Using a potato masher or a wooden spoon, mash the potatoes roughly as you mix them with the chipotle and scallion mixture. Sprinkle with salt and freshly ground pepper to taste. Serve hot. So glad you enjoyed them, Jasmine! Pati you have changed the way I cook and eat. Since making these potatoes I am hooked on chipotles in adobe sauce. I want to put it in everything. I’ve also started toasting things in my cast iron skillet. Garlic, onions and even bay leaves. I’m always trying to add another layer of flavor, like you have taught me. Thank you for all your recipes and tips on cooking. That is so awesome! Thank you Brenda for sharing! This recipe sounds great thanks for the great shows on tv! 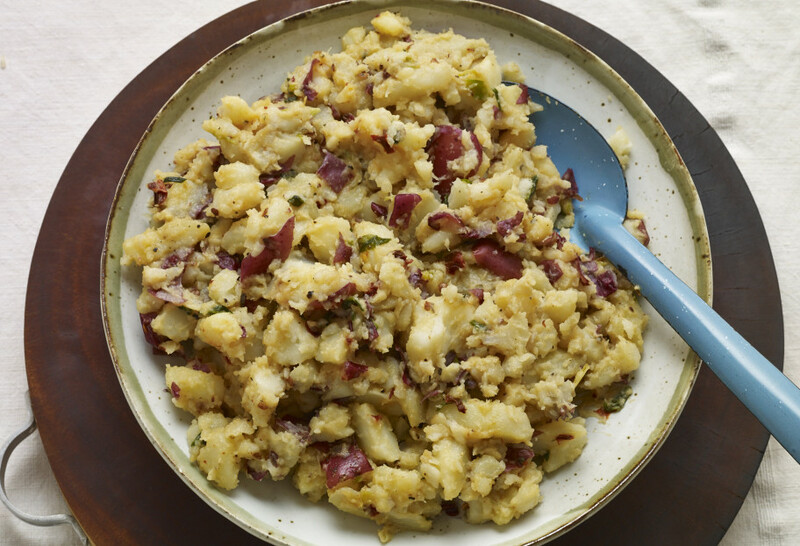 Would like to see Chunky Chipotle mash potatoe and Chayote salad , again on your show. Thanks so much.